Shannon and Derek are high school sweethearts who have been dating for nearly a decade. When we met for engagement photos last summer, the wedding seemed so far away. They’ve been together for nearly a third of their lives and finally decided it was time to make it official at their wedding on Saturday. Shannon and her bridesmaids got ready at her parents’ home. I joined them along with Nicki from Syncopated Pictures. A new film will be posted soon featuring more great moments from this wedding. 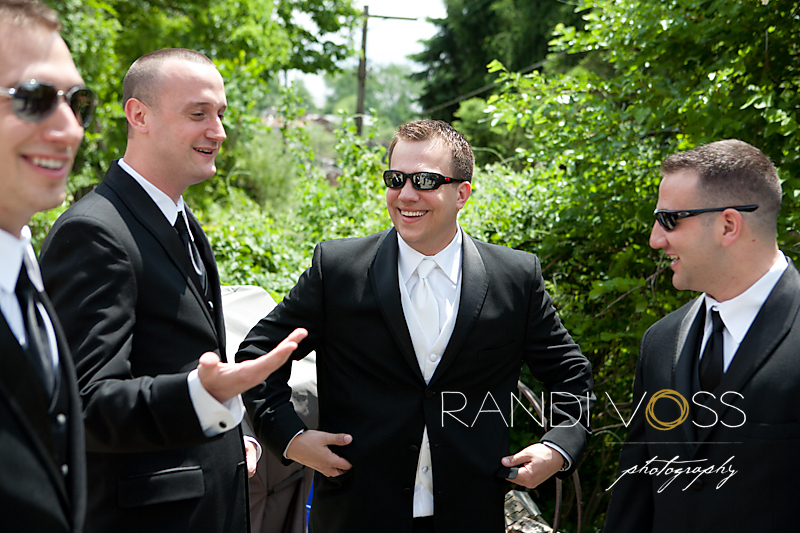 Ryan spent his morning with Derek and the groomsmen. 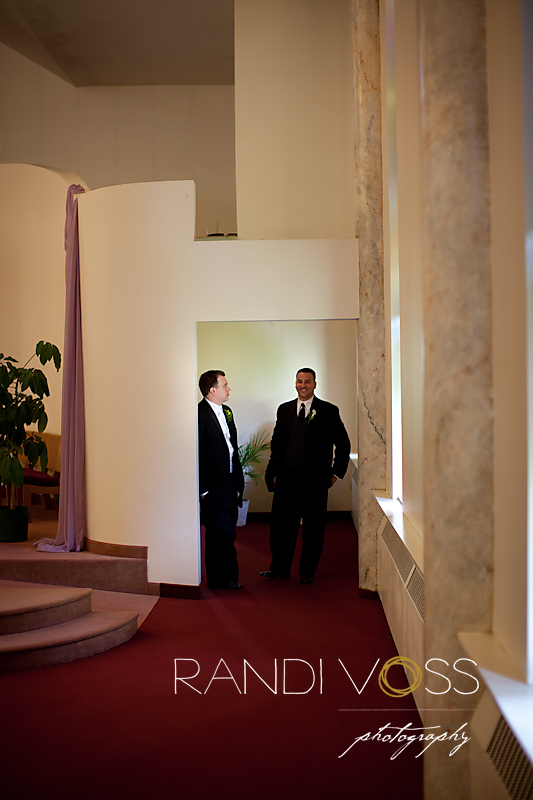 Derek waiting for the ceremony at Holy Spirit Parish to begin. Shannon looks so beautiful! Hair and makeup by Whitney Thompson, bouquets, Church flowers, boutonnieres by Gail Ralicki. We stopped for some photos at South Park. It was a busy day for weddings (three other weddings were there!). They celebrated their wedding with a reception at Crowne Plaza Hotel Pittsburgh South. Table centerpieces by Botanical Emporium and wedding cake by Signature Desserts. They had a really good dance party! Shannon’s beautiful mom, Cheryl. I loved her dress. Congratulations, Shannon and Derek! Have a FANTASTIC time in Hawaii! Randi and Ryan, you were unbelievable! Our pictures are so beautiful!! I can’t wait to see the rest! Thank you both so much!! They looked so beautiful! Can’t wait to see more!!!! Beautiful! Shannon and Derek look so very very happy. Can’t wait to see the movie!